hd00:20Camera looks down on the ocean while waves crashing on to the boulder of the beach as the tide recedes. Water flowing over the rocks at high tide. Surf is up! 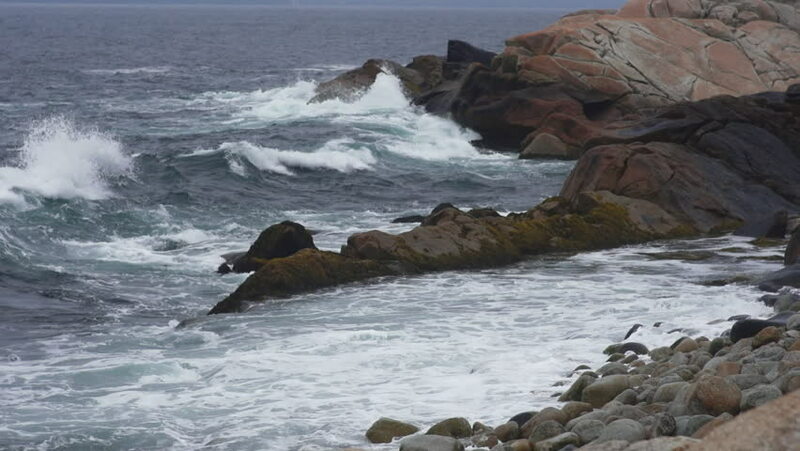 hd00:55Heavy waves from the Atlantic Ocean break and crash over the large rocks of a rugged Nova Scotian coastline on a stormy, grey day in St Margarets's Bay. 4k00:28Legs jump crosses the river, his feet in the water. Active hiking outdoors. Shot on RED, Ultra HD resolution.